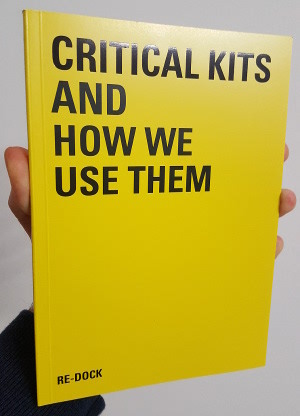 ‘Critical Kits and How We Use Them’ is a new book exploring how artistic practices use the production and distribution of 'kits' and what the implications of this could be. It was produced by Re-Dock , Torque publications and artists from across the North of England. The book is about DIY culture and how it meets participatory, inclusive and community-based forms of creative practice. Critical kits are toolboxes, resources, instructions for how to make great, or simply interesting, things happen with technology. But they also ask that we question why, and to be aware of the network of effects technologies participate in. Read the digital edition of the book here. See the digital edition of the card game here.